Although DH is more a China-man but once in a blue moon we will indulge in western meal. The food can be prepared and cooked in advance. Only need to heat up when ready to eat. 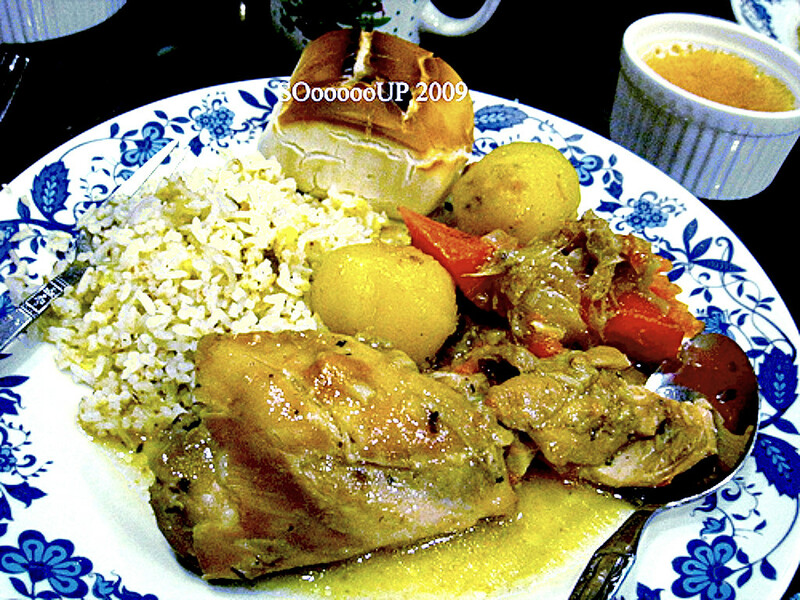 The main dish is stew chicken with carrots and potatoes accompany with fried rice and bun.